This week, I return to a show I broadcast last year in the wake of the sudden and tragic death of Andy Hunter, storyteller and founder of Story Bikes. 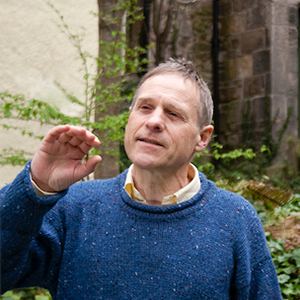 Andy was a wonderful and much-loved storyteller in the Edinburgh area and a stalwart supporter of the Scottish Storytelling Forum and Centre. He was also the founder of Story Bikes, a unique touring company that organised tours for bicycle enthusiasts like himself and accompanied them with stories along the way. The show features a couple of stories from Andy.